Epilepsy affects people all over the world, irrespective of race, culture or social background. 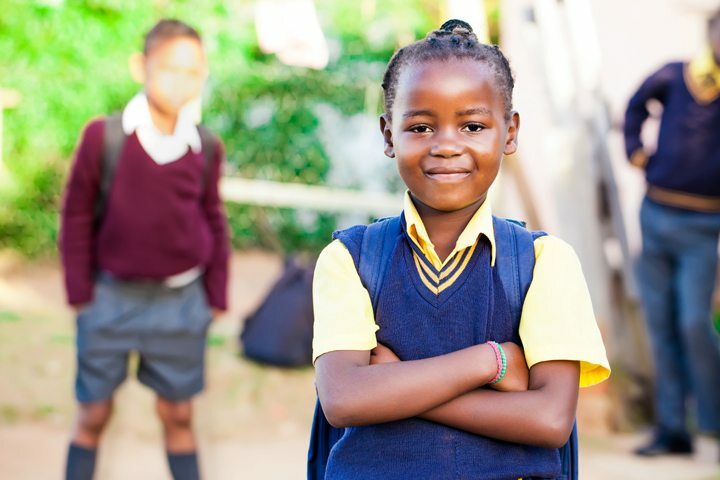 However, for people facing the struggle of dealing with epilepsy who live in developing nations, the situation can be overwhelming with little or no resources, high levels of stigma and discrimination, and poor understanding of the true facts about epilepsy. In addition, in some industrialised countries, serves for people with epilepsy can be very poor and epilepsy support associations can struggle to help their members. People can become isolated and struggle to find employment. The result is often poverty, social exclusion, isolation and misery. This was why the IBE set up Promising Strategies – a funding program that provides crucial funding to support initiatives that directly improve the quality of life for such people. The IBE Promising Strategies Program, established in 2006, is one of the most successful and innovative of all IBE’s initiatives. To date, the program has supported 81 projects in 37 countries, with a total of US$300,000 provided in support. Most projects receive between US$3,000 and US$5,000 and, while this can help by providing seed-funding, we would like to further develop the program to provide higher levels of support. A new round of the Promising Strategies initiative is now open. Argentina, Bangladesh, Brazil, Bulgaria, Cameroon, Chile, China, Colombia, Czech Republic, Ecuador, The Gambia, Georgia, Guatemala, Haiti, India, Indonesia, Kenya, Laos, Lebanon, Lithuania, Mauritius, Malaysia, Mongolia, Namibia, Nepal, The Philippines, Romania, Sierra Leone, South Africa, Swaziland, Tanzania, Tibet, Togo, Uganda, Uruguay, Western Pacific Islands, Zambia and Zimbabwe. • Has a mechanism to evaluate results and get feedback to continue to improve the program. IBE would like to thank all those member organisations who have generously donated to the IBE Solidarity Fund; a portion of this fund is also being used to finance the program. If your organisation would like to donate to the Solidarity Fund or directly to the Promising Strategies Program please contact the IBE Office. All donations, however small, are gratefully received. Cameroon has a high prevalence of epilepsy, with 5.8% of the population affected, often due to cysticercosis. Add to that the terror and fear epilepsy generates, because of its association with witchcraft and mysticism and it is easy to understand why life for people with epilepsy is very difficult in Cameroon. In 1980, Sister Franca de Simone, an Italian missionary nun, began working to improve the medical services available to people in Cameroon and since 1997 the emphasis has been on epilepsy. Apart from the provision of epilepsy care, supported by Professor Raffaele Canger and the Italian Episcopal Conference, Sister Franca began projects to help people with epilepsy become self-sufficient through revenue generated from the cultivation of community plots and the production of commercial crops and livestock. 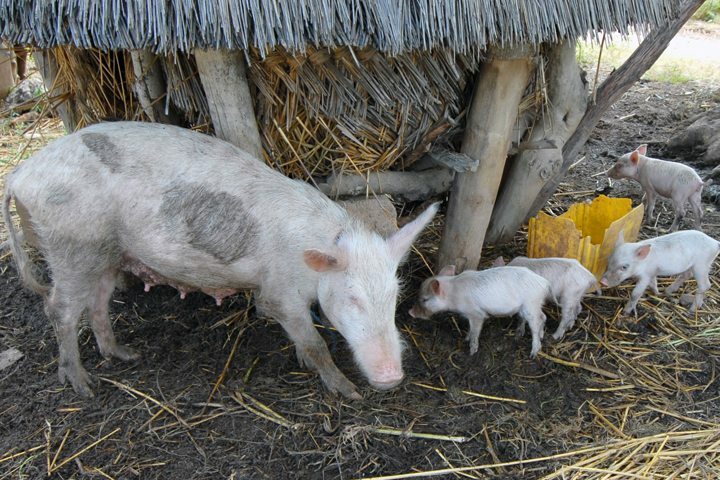 The support provided by the Promising Strategies Program funded Sister Franca and people with epilepsy in Nyamanga and Mbangassina regions with their pig-rearing project. Prompted by an approach from the mother of a young child with epilepsy, the IBE chapter in Namibia held a 4-day workshop to train 30 teachers, caregivers and people with epilepsy to enable them to manage the condition effectively. The presentation of the information was made in a manner that made it a reference work for the future. Costs included trainer costs, consumables and training materials. A well-known person with epilepsy attended as an example of how to live successfully with epilepsy, having been trained as an advocate for epilepsy. The program included awareness and epilepsy training, an epilepsy care program, lifestyle management guidance and a stimulation program. Partners and supporters included the Department of Mental Health, Namibia, WHO (which sponsored posters and leaflets) and ITCS (Information Technology Consulting Services). Since it was first created in 2009, the project has continued to grow and develop. According to national health data for 2003 and 2004, the number of people with epilepsy increased by over 10% within this time period in Mongolia. The major cause of epilepsy in Mongolia is trauma – a preventable cause – and is often caused by falls from horses, the only mode of transport for those living nomadic lives in remote mountainous regions. This is an important point to convey to the general public. The stigma associated with epilepsy in Mongolia denies most people adequate education and employment and makes it difficult to socialise. There is no government support and an insufficient supply of AEDs. 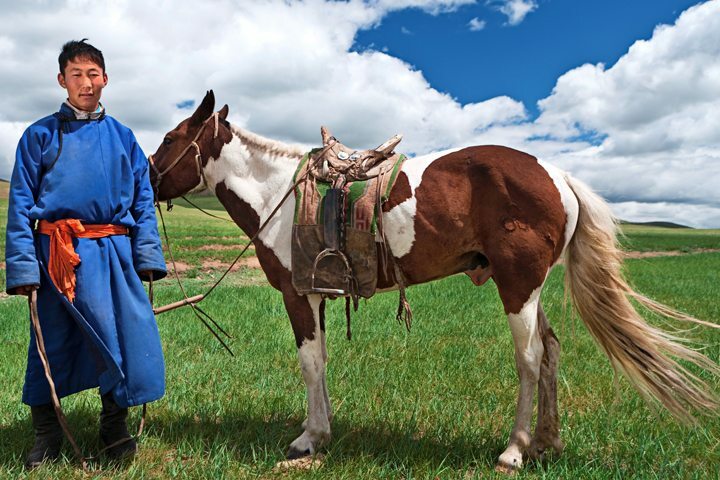 The nomadic lifestyle in rural Mongolia makes it difficult for regular medical monitoring and points up an urgent need for mobile EEG machines. As a first step in improving conditions, the Mongolian Epilepsy Association worked to improve public knowledge in order to reduce stigma and improve the quality of life of those with epilepsy. Target groups include the general public, government offices, the media, doctors, nurses and social workers. Since it was first set up in 2008, the quality of life program has proven to be extremely successful with continue awareness raising workshops and meetings and better provision of services and care assisted through the donation of EEG machines. All young children love puppets; and puppetry has been shown to be a successful means of educating young people and of dealing with issues that can be otherwise more difficult to confront. ANLICHE, IBE’s chapter in Chile, used a puppet family in a video series aimed at 7 to 12 years old children. The puppet story began with the diagnosis of epilepsy in young Juanito, and looked at how the family learned to confront and to then accept the diagnosis. The videos, have been shown to more than 5,000 students in 20 primary schools in the Metropolitan Area of Chile, aim to eliminate stigma thereby improving the self-esteem and self-confidence of children with epilepsy. Following screening of the video, a social worker is in attendance for discussion on the subject. In addition, the Chilean Ministry of Education made more than 200 copies of the video available to schools throughout Chile. The idea of a Drug Banks originated in Chile and the success of the initiative there encouraged other IBE chapters to emulate the concept. 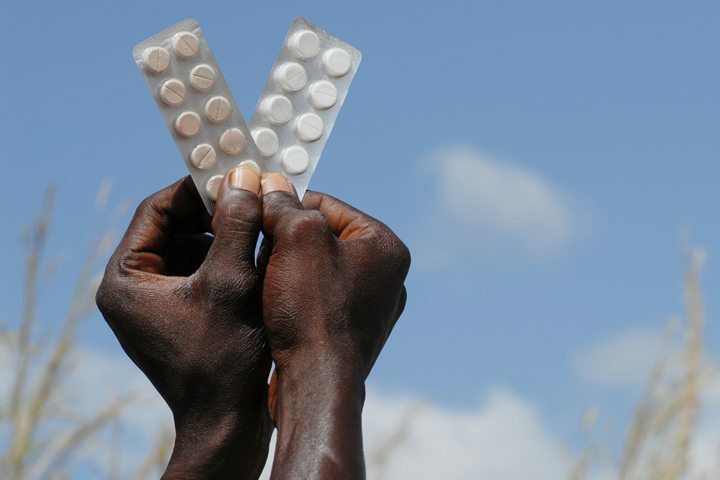 The purpose of the Ugandan Community Drugs Bank is to supply cheap and accessible drugs to people with epilepsy in their communities on a non-profit basis. Those receiving medication pay for it, but at a rate that is affordable, based on ongoing stringent means-testing. 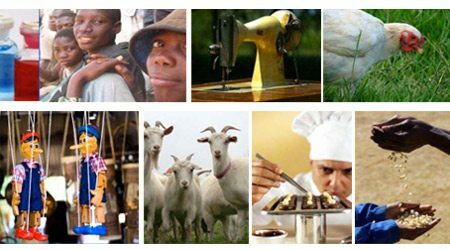 About 90% of Uganda’s population lives in rural areas. For people with epilepsy, this has meant long difficult journeys to access medication. With the Community Drugs Bank in operation, the AEDs can be brought to the people who need them by nurses and healthcare workers travelling to remote villages within Uganda. Regular provision of medication provides stability and stamina to people with epilepsy, helping them to participate in community initiatives and thus reducing stigma. It also increases the number of people with epilepsy attending clinics and helps to capture data and statistics to assist in planning for future service delivery.